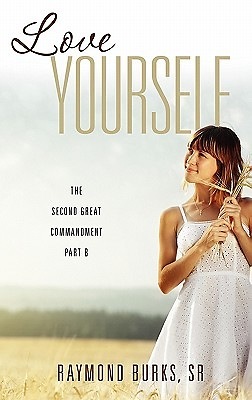 This book, Love Yourself - The Second Great Commandment part B, is about the personal portion of the Second Great Commandment that contains the hidden command to love yourself. It was written with the objective to assist Christians to activate the untapped love resource that God has put within them. It contains concepts that are applicable in order to meet the requirements of this commandment. There are thought provoking questions designed to refocus efforts in discerning ones identity and how they feels about it. It uses Biblical principles as a foundation. If you missed the picture of God's love, written in His operating manual, you may require some pointers on how to love yourself. Of course the all inclusive manual, the Holy Bible, would require years of study, while this book will only give you some general guidelines by pointing you in the right direction.Raymond Burks, Sr. is a motivational speaker, who emphasizes the methodology involved in being a citizen of the Kingdom of God. He is a native of Saint Louis, Missouri. He is a senior pastor of an independent non-denominational church in west central Missouri and his spiritual background is charismatic Pentecostal. He has served his country in the U.S. military, with extensive travels and exposure to a variety of cultures. He completed his undergraduate studies at Park University and his graduate studies at Webster University. Raymond and his wife, Maria, have been married to each other for forty plus years and have two children, Raymond Jr. and Nadia Sheri'.